We are pleased to announce the launch of our new app – Caloo Pulse. This fantastic innovation allows users to log workouts, track progress, favourite local gyms and units at any of our gyms across the UK. 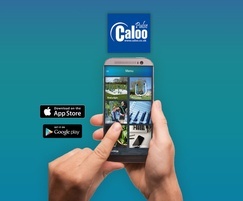 The Caloo Pulse app is available to download on both IOS and Android play stores. The app offers an easy-to-use interface with a simple login, either setting up an account or via Facebook or Gmail, don’t worry though, we don’t collect any personal data, just a simple email and password for customers to login and track progress. Find a Gym: choose a gym local to your area or search on the map to see hundreds of great locations around the UK. Gym Units: details on each unit including instruction plate, video on how to use the unit and workouts based on each individual unit. Favourites: store your favourite gym and units in this section. You can easily find your favourite gym / unit and workout each time you visit. Workouts: choose from Beginner, Intermediate and Advanced workouts. Simply select your gym and off you go! A workout will be built from the units available at your local gym. Progress Tracker: once you have completed a workout either at a gym or on a unit, this will log in the progress tracker so you can keep track of your workouts and achievements daily. Nutrition: simple nutrition advice for working out and daily goals. Report a Problem: notice something wrong with your local gym? Simply select your gym, note the problem, attach a photo and send it over to us. We will sort the issue ASAP. Client Reporting: the app offers to send clients quarterly reports with information on gym usage. A great way to track how the gym is doing in your community. Schools: purchased our training programme for your school? We can set you up as a user and the program can be accessed via our app. Perfect for iPads at schools.